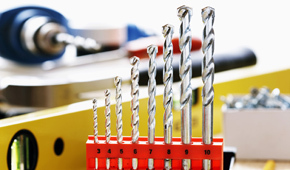 Hanover Tool stocks power tool accessories, attachments, carbide burrs, cutoff wheels, drill bits, drill chucks, hole saws, mandrels, nut splitters, saw blades, uni-bits, wire brushes and more from 3M Company, Astro Pneumatic, ATD Tools and other fine brands you know and trust. Exception=Subquery returned more than 1 value. This is not permitted when the subquery follows =, !=, <, <= , >, >= or when the subquery is used as an expression.